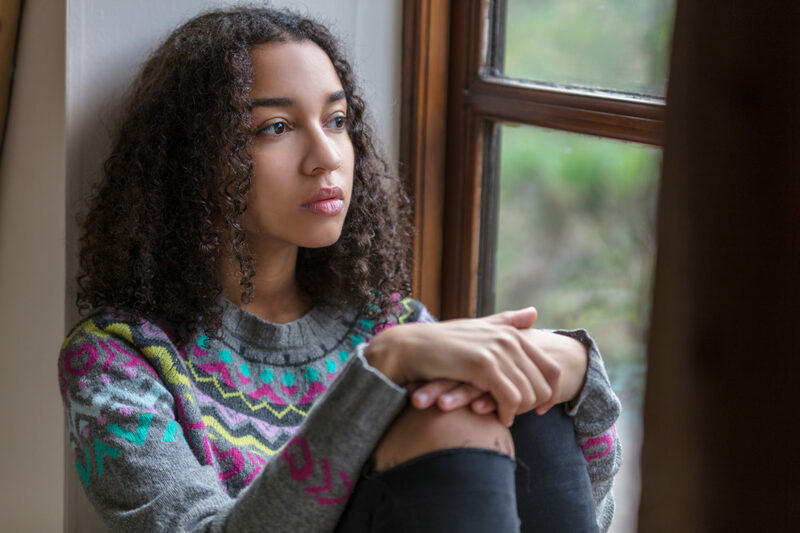 Can Being Raised By A Narcissist Make You Feel You’ve Been Neglected Your Whole Life? Narcissism could best be described as an excessive focus on one’s own wants, needs, happiness and feelings over the wants, needs, happiness, and feelings of others. When you are dealing with a true narcissist, you can bet that even when they are kind, they are being kind for a reason that serves them. Generally, it’s not a good idea to trust a true narcissist. They will have their own interests in the front of minds and may be willing to hurt you in various ways if they deem it necessary in order to meet their own needs. It is very important to keep in mind, though, that there are many different levels of narcissism. Some narcissists are so self-absorbed that they do not care about anyone else’s health, happiness or safety. 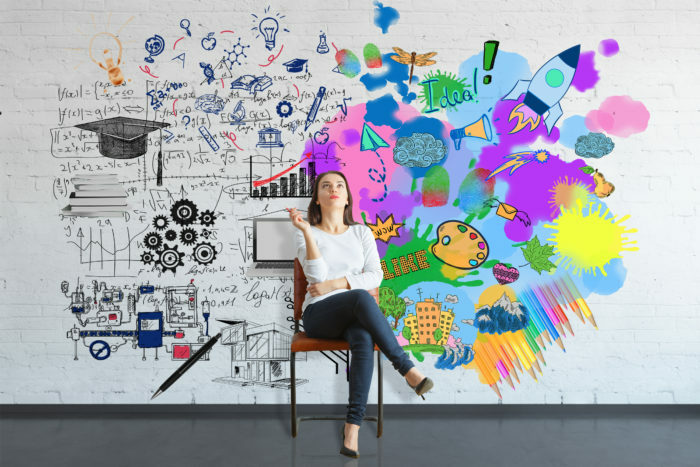 Others can have milder versions of varying degrees, where they may act moderately narcissistically in some situations, and much less so in others. There’s a lot of talk about narcissism these days. At last, the general population is becoming knowledgeable about what narcissism is, what it looks like, and how it forms. But in some ways, the more you know about narcissism the more questions you may have. It can stir up a lot of doubt about the people in your life, whether one or more is a narcissist, and what you can, or should, do about it. No one has more reason, or more right, to have such questions than the child of a narcissist. Being raised by a narcissistic parent is a very hard thing to understand and cope with. This is made even more complicated because the child of the narcissistic parent can be fooled into believing or feeling the narcissistic parents’ attention, which is actually mirroring, is love. The child of a narcissist has a life that appears one way but is actually another. This is, in many ways, a process of growing up deceived. All children begin from a place of trust at birth. 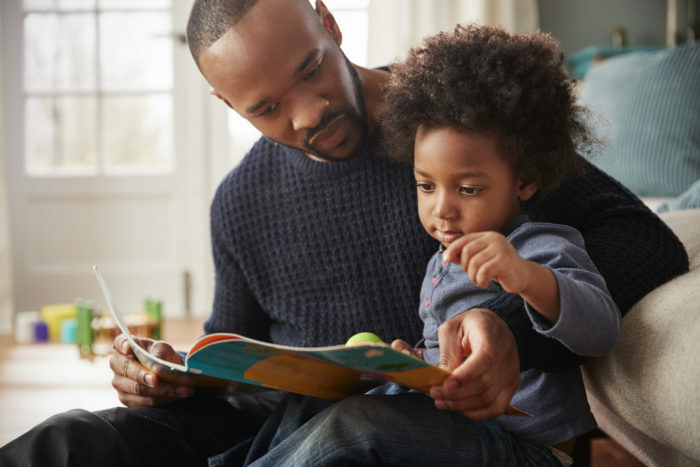 Babies are born with their brains already primed to experience love and care from their parents, and so they naturally interpret their parents’ actions through that lens. All parents must make decisions for their child. 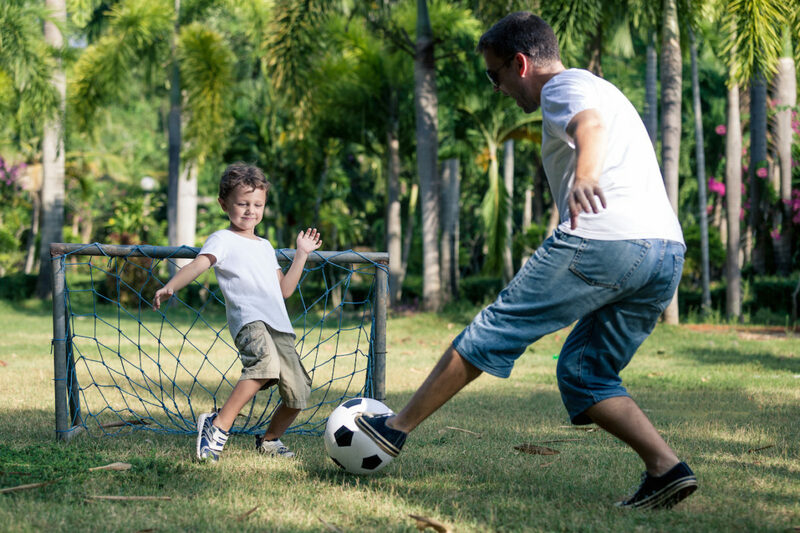 But most parents make decisions, as best they can, based on what they feel is best for their child. In stark contrast, the narcissist makes decisions based on what’s best for herself. 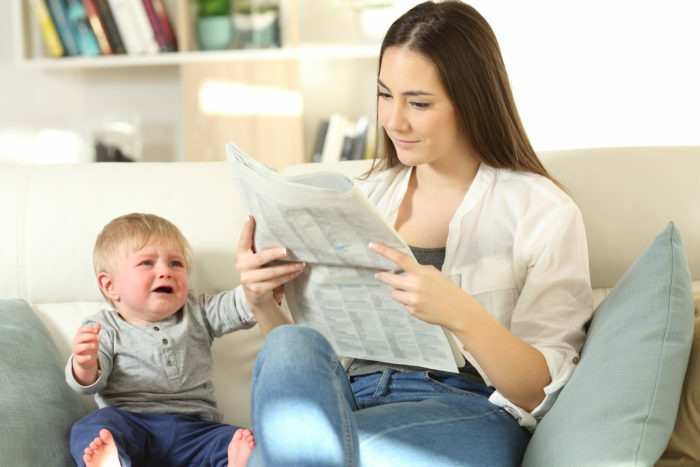 But children, of course, know nothing about selfishness or narcissism, so they will naturally believe that their parents’ selfish decisions arise from love and care. 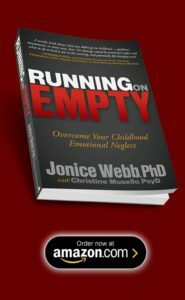 To learn how to reverse the harm of your narcissistic parent, see the book Running On Empty: Overcome Your Childhood Emotional Neglect. 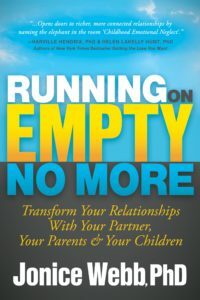 To learn how to deal with your narcissistic parent now in a way that allows you to become stronger and healthier, see the book Running On Empty No More: Transform Your Relationships. 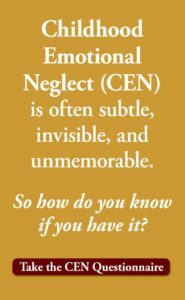 To find out if you grew up with Childhood Emotional Neglect, Take The Emotional Neglect Test. It’s free. Above all, never doubt this fact for one more minute: Being raised by a narcissist does make you feel you’ve been neglected your whole life. 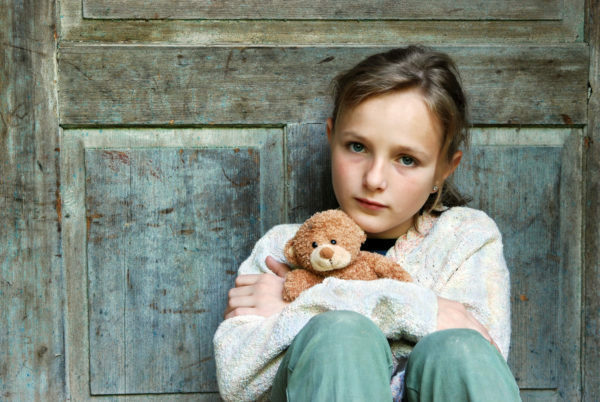 Emotional Neglect is the silent killer of a child’s spirit. Emotional Neglect is seldom dramatic. Instead, it is usually small and subtle and dwells in everyday events like those we just saw in Althea’s life. As you can see, Althea is not experiencing abuse or attacks. An outsider would see a typical mom in a hurry in the first scenario, and a typical “moody teen” in the second. But for Althea, there is far more going on. Initially a bright, happy child, Althea has learned that she should keep her joy under wraps, and her needs minimal. At age 11 she has already learned that she is on her own. Likely the child’s parents do come through for him emotionally sometimes, in certain situations. To learn how CEN plays out over a child’s adult life and how to heal it, see the books Running On Empty and Running On Empty No More. To understand how loving parents can emotionally neglect their child, meet Edward and Libby, both caring parents. Edward the Child: Edward grew up in an abusive family. His alcoholic mother was mean, angry and physically abusive or threatening half the time, and ignored him the rest. Edward’s father loved his children. He worked 70 hours-a-week to support the family. In the few hours that he was home, he tried his hardest to appease his wife and to smooth over and hide her bad behavior. Edward and his siblings grew up fending off their mother and fending for themselves.